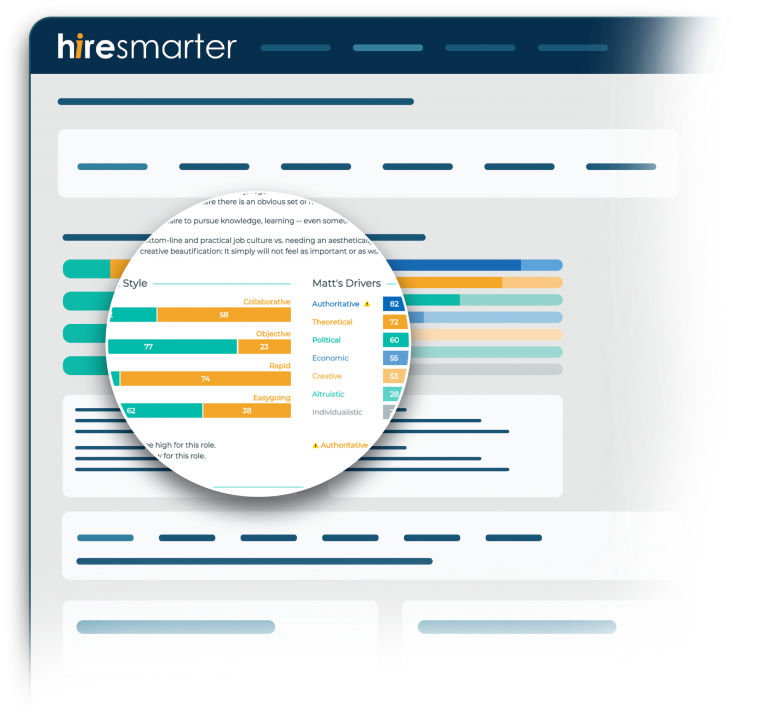 Hire Smarter is built to help you make smarter hiring decisions. 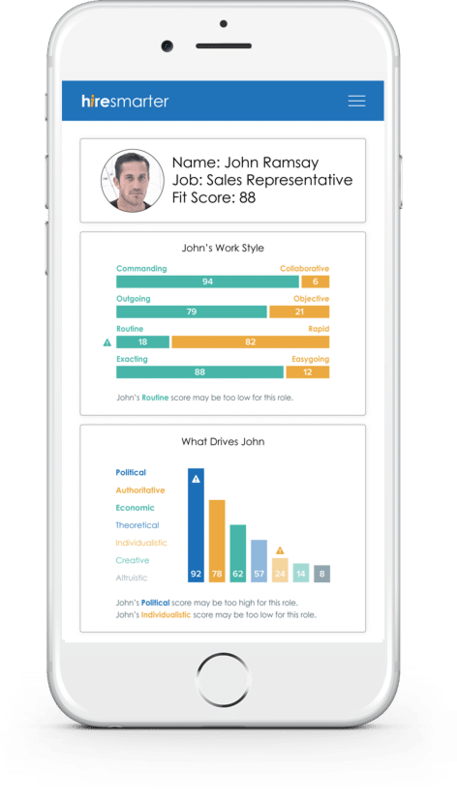 Hire Smarter takes a data-driven approach to finding salespeople who fit with your team, connect with your customers, and close more deals. 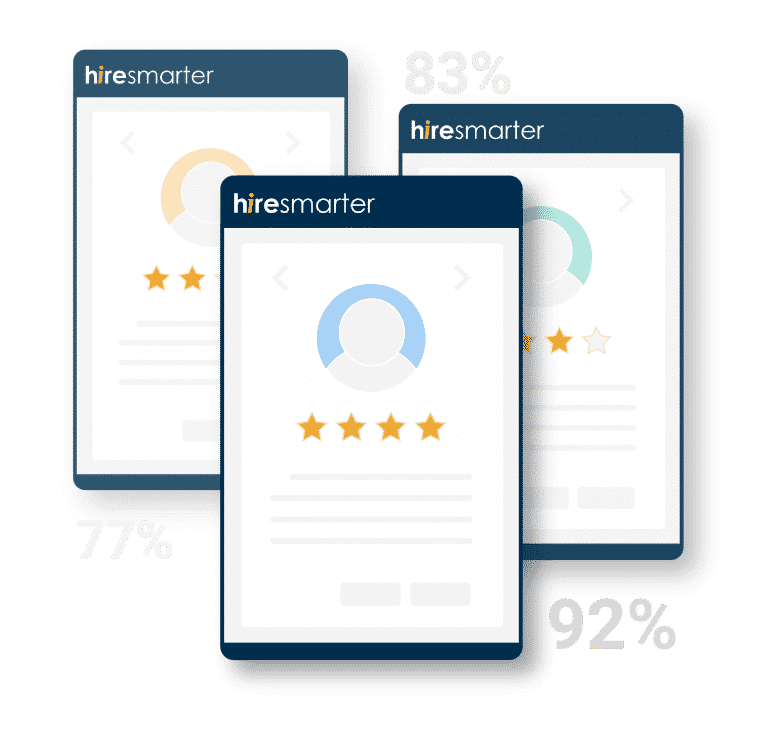 Only 60% of sales reps hit their quota.1 Hire Smarter boosts that number and increases overall team performance by finding hidden patterns in your top performers, then helping you find more people just like them. 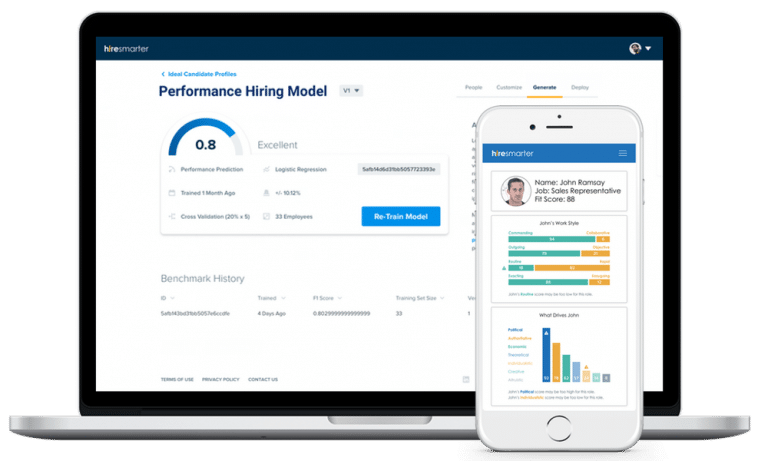 It takes an average of 40 days to fill a sales position.2 Hire Smarter lets you quickly consider a large talent pool so quality doesn’t go out the window when you have to hire quickly. 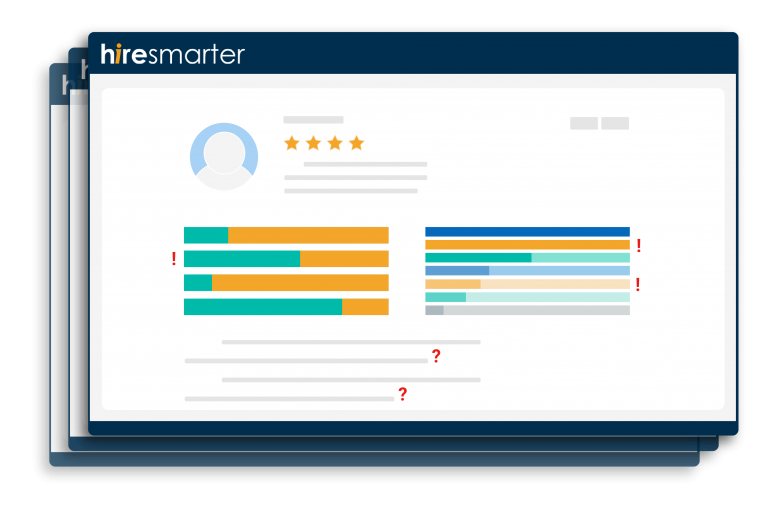 Salespeople sell themselves–81% of people even lie during interviews.3 Hire Smarter highlights potential problem areas and provides interview questions for each candidate so you get all the information you need to make a smart decision. "I love our new objective approach to hiring. 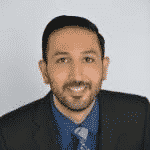 We’re growing like crazy and Hire Smarter is exactly what we needed to scale on the standard of excellence that got us here in the first place." Easy to use. Nothing to learn. Integrates with your favorite ATS. Got questions? Our experts love to help.